MS Flanges, Ms Round Pipes, MS Flanges Exporters, MS Flanges Manufacturers. The industrial products that we provide are well known for durability, dimensional accuracy, corrosion resistance and capacity to withstand temperature variations. The application of our products are in varied industries namely Oil and Gas, Marine Equipments, Pharmaceuticals, Sugar, Food and Beverages, Cement, Steel, Fertilizers Plants, Petrochemicals Plants and so on. 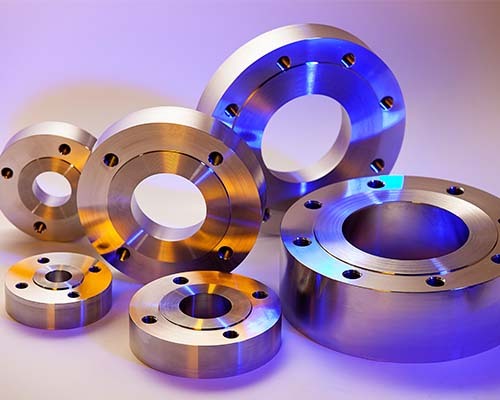 We at Royal Steel India manufacture products using exceptional quality raw materials such as plates, forgings and Rounds, the assortment of industrial products is offered in varied sizes, shapes and surface finish. This initiative has helped us in benchmarking our products with the competition, thereby continuously improving our products & solutions. We promote commercial arrangements that are aligned to our customers’ needs, allowing us to deliver more value to the customer while increasing the returns from our most precious asset – our people. Develop trust in our reliability and integrity – which we are reinforcing, for instance, by developing a global compliance network. Our company would love to invite you to learn more about our products & services and the way we thrive. There have been various reasons that have contributed in our success and have made our company a widely reckoned manufacturer and exporter of Pipes, Pipes Fittings, Industrial Flanges and many more. Our vision is to provide the quality products to domestic and international markets creating accord through trustful business relationship. To be known more for our quality of products and excellent service. Our company motto has helped us keep our clients and develop new clients and will continue to do. We also motto to provide quality products at reasonable price as per schedule and maintain good relationship with the best people in steel business.